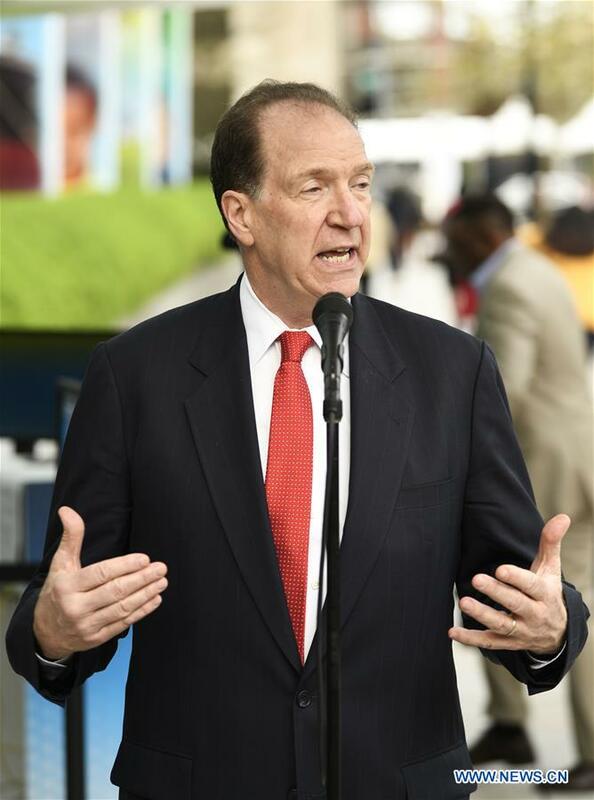 David Malpass on Tuesday took office as the president of the World Bank Group, and said he looks forward to undertaking the task with enthusiasm. Malpass made his debut as the 13th president of the World Bank at its headquarters in Washington D.C. Tuesday morning. "I want to thank the Board of Directors and the Governors for selecting me," he told reporters. Malpass, former undersecretary for international affairs at the U.S. Treasury Department, was chosen by U.S. President Donald Trump in early February as the U.S. candidate for the post, following the abrupt resignation of former World Bank chief Jim Yong Kim. Candidates picked by the United States, the World Bank's largest shareholder with 16 percent of its voting power, have all ended up assuming the leadership post since the institution's inception in 1944. Malpass, who once criticized the World Bank, has raised concerns within the international development community over his skepticism about the role of the bank and multilateralism.